At the 2019 Game Developers Conference (FDC) in San Francisco today, Google unveiled Stadia, its all-you-can-play game streaming service. It’s launching sometime this year, first in the US, Canada, UK, and most of Europe. Google says it already streams graphics-intensive titles at 1080p resolution and 60 fps; that’ll ramp up to 4K resolution and 60 fps, along with support for HDR and surround sound at launch later in 2019. It’s worth noting, though, that Google didn’t run an extensive demonstration of Stadia in action on stage during the hour-long presentation at GDC; when id Software’s executive producer Marty Stratton showed up to talk about his studio’s upcoming FPS, DOOM Eternal, he invited audience members to check out the game in action on the platform a couple of hours later at the event. Google is packing its Cloud and data centers around the world with specialized Linux-based computers equipped with a 2.7GHz processor paired with 16GB RAM, and a custom GPU built in partnership with AMD to deliver 10.7 teraflops of processing power to run the games you choose to play. For reference, that’s more than a PS4 Pro and an Xbox One X’s output combined. The company says it’ll make games available across the web: you’ll be able to hit ‘Play’ while watching a game stream on YouTube to start a new round, or open a link that takes you to a specific point in a game that your friend was playing, or launch a title from the Stadia store. Google also demonstrated leaving a game on one device and picking up where they left off – seamlessly – on another device. Google also unveiled the only piece of consumer hardware designed for its new service, the Stadia gamepad. It looks like most other controllers, but includes buttons for two novel features. The Capture button initiates a stream of your gameplay straight to YouTube (Google says it’ll manage a 4K stream at 60fps), and the Assistant button lets you invoke a bunch of features using your voice and the inbuilt mic on the gamepad – like asking for a walkthrough of the level you’re stuck on. You don’t have to use the Stadia gamepad to run the service; Google notes you can use pretty much any controller that’s compatible with your device. However, in addition to the aforementioned features, it can also enhance your experience by reducing lag, thanks to its ability to connect directly to the cloud over Wi-Fi. The idea behind Stadia, Google explained, is for it to essentially be an all-encompassing platform to support the next generation of gaming, and so that covers not only the streaming service and cloud infrastructure, but also support for developers and publishers, a range of features to enable players to share their experiences with others and invite them to join in on the action, and tools for content creators on its YouTube gaming video platform to draw in their audience. Google noted that it’s been working on this technology internally for years, and is taking advantage of its network of more than 7,500 edge node locations worldwide to deliver this service from the cloud. The goal is to make premium games available on a wide range of devices, and to allow people to enjoy them with whatever hardware they have handy. 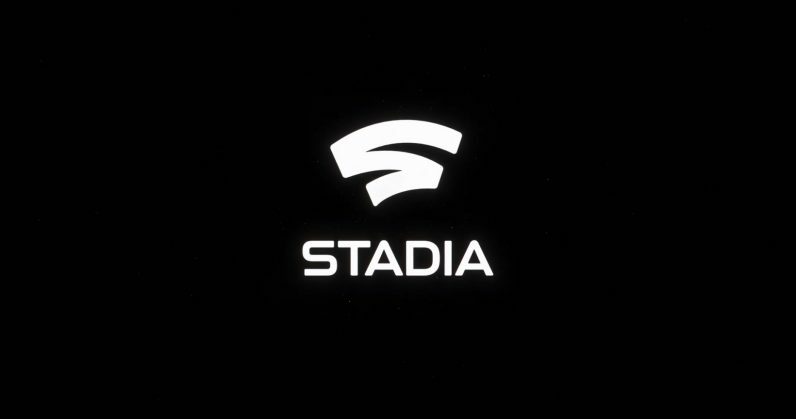 The announcement of Stadia also saw Google reveal its new Stadia Games and Entertainment, a studio that will develop content for the platform in-house. It’ll be led by Jade Raymond, a celebrated veteran in the game industry who’s previously worked at EA and Ubisoft. She took to the stage today to explain that Google will work with other studios of all sizes to make its technology available to them easily. Rather than treat Stadia as an entirely standalone service, Google sees people using it from and with YouTube. That means your starting point with Stadia could be a game trailer on the video platform, or a live stream of a tournament; you could simply hit Play on either video stream and start playing – solo or with others – within a few seconds. A feature called State Share lets you invite others – your friends, your YouTube audience, or your social media followers – to play a title from a specific point, with your position and location in the game environment intact, as well as your inventory, just by sending out a link. Google also explained that you’ll be able to use Assistant to look up hints on YouTube, and the service will pinpoint the exact part of a video to help you out of the bind you’re in, in any game. There are several unknowns about Google’s new venture at the moment. As I noted above, we haven’t yet got a proper look at just how well Stadia works; we also don’t know exactly when in the year it’ll launch, and what it’ll cost. Plus, it’s only opening up to certain countries in the west to start, and it isn’t clear how long the company will take to expand more widely across the world. That said, it’s safe to say that a major factor in determining whether Stadia will be a success and revolutionize gaming is performance – both in terms of visual fidelity, and lag and latency management. If Google can crack that – something that seemed incredibly difficult with previous similar services like OnLive nearly a decade ago – it could have a compelling product on its hands. With its YouTube integration, support for several platforms, and the flexibility to share gaming experiences across the web, it seems like Google shouldn’t have a problem getting Stadia in front of potential users. But it’ll also need to figure out an ideal business model to attract and retain game developers and publishers, so it can offer players a varied, high-quality library of titles. From what we saw on stage today, it sounded Google had a lot of good ideas about the next era of gaming. Now for the hard part: making this amazing dream come true. If you missed the livestream, head here to watch it.